Growth in corporate India's debt levels is slowing, though any substantial improvement is still a few quarters away. In December 2014, Jaiprakash Associates sold two cement plants in Madhya Pradesh for Rs 5,400 crore. This May, Tata Motors raised Rs 7,500 crore through a rights issue. In June, DLF sold its movie theatre arm DT Cinemas to PVR for Rs 500 crore. It has announced that it will sell 40 per cent stake in its subsidiary DLF Cyber City Developers. For companies, there is nothing unusual about raising money. Some do it to expand their business, a routine activity. But in the above examples, the money was raised to pay back money borrowed earlier. In other words, debt - humongous debt, which is becoming a headache for these companies despite such efforts to contain the problem. These fund-raising rounds should have brought down India Inc's overall debt level. They have not, though the growth rate of debt has slowed. The debt of 395 companies in BT500 (excluding banks and financial institutions) rose just 3.6 per cent in 2014/15. In 2013/14, the rise was 14 per cent. This is good news. But the fact is that the debt levels are still very high in absolute terms. Jaiprakash Associates, for instance, has sold assets worth Rs 22,000 crore in the past few years. Yet, its standalone debt is still around Rs 36,000 crore. DLF's debt was Rs 12,058 crore on March 31, 2015. The figure for Tata Motors was Rs 21,321 crore though its rights issue reduced its gross debt by Rs 2,000 crore. "This has also resulted in an improvement of Rs 3,937 crore in cash and cash equivalents and, consequently, reduction of net debt-to-equity ratio from 1.36 on March 31 to 0.63 on June 30," says C. Ramakrishnan, Group Chief Financial Officer, Tata Motors. The companies with highest debt among the BT500 companies - Reliance Industries, Power Grid Corporation of India and NTPC - have seen their debt increase by 8.5 per cent, 14 per cent and 21 per cent, respectively, in 2014/15. However, for a company like Reliance Industries, with operating profit 13 times the annual interest expense, debt may not be a big issue. But not everybody is so fortunate. The situation is so bad that many big companies are not in a position to pay interest comfortably - that is, have an interest coverage ratio of less than two. The interest coverage ratio is calculated by dividing a company's earnings before interest and taxes by interest payments. It shows how easily it can service its debt. Most analysts consider any figure less than two as high-risk. 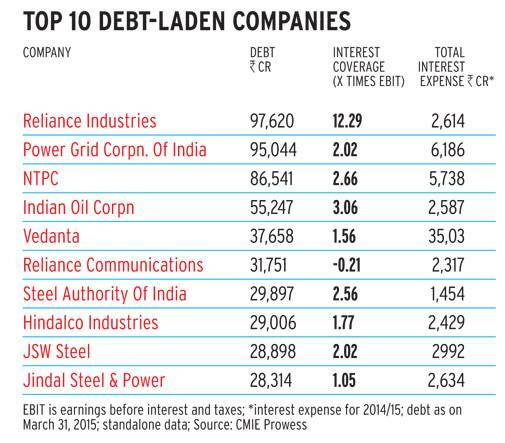 The most indebted among companies with interest coverage ratio of less than two is Vedanta. It plans to raise Rs 8,000 crore to refinance some debt. Its net debt at the end of March 2015 was Rs 37,658 crore, slightly less than Rs 38,945 in March 2014 (see Top 10 Debt-Laden Companies). Reliance Communications, which comes second, had Rs 32,000 crore debt on its books at the end of March 2015. Its interest expense for 2014/15 was Rs 2,300 crore. Cash generated from operating activities was Rs 3,300 crore. The company plans to sell a part of its tower business, an overseas business unit and some properties, the company's CEO, Gurdeep Singh, said at an investors' meet recently. "These measures have helped, but the amounts that have been realised have been grossly inadequate compared to the debt levels," says Anjan Ghosh, Executive Vice President and Chief Rating Officer, ICRA Ltd.
Take Jaiprakash Associates. Despite efforts to reduce debt, its overall liabilities remained stagnant at Rs 35,000-36,000 crore (on a standalone basis) in 2014/15. The interest cost rose from Rs 2,750 crore to Rs 3,314 crore during the year. 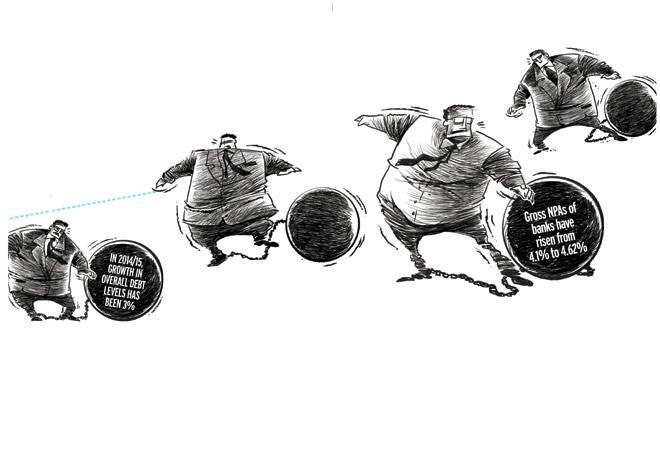 DLF's debt came down from around Rs 14,000 crore in 2013/14 to Rs 12,058 crore in 2014/15. However, its interest coverage ratio continues to be below two. This means interest payments continue to be a drag on profitability. However, many companies are struggling to even sell stake or assets. IVRCL, for example, has been trying to sell some assets - road projects and desalination plants - since September 2014, without much success. The reason why such sales are not going through is mismatch in valuation expectations between potential buyers and sellers, and shortage of buyers due to economic slowdown. This also means that many companies have had to sell some good cash generating assets, which has further impacted their ability to service debt. A year-and-a-half-ago, when the National Democratic Alliance came to power at the Centre, there was expectation that it would have the economy up and running within a year. This made people hopeful that companies with stressed assets would find it easier to raise capital. This has not happened, even though equity markets rose 25 per cent in 2014/15 and there has been a spurt in equity issuances. In 2014/15, money raised through initial public offerings, follow-on offers and offers-for-sale almost doubled to Rs 30,000 crore. Similarly, the amount raised through qualified institutional placements trebled to Rs 28,500 crore. However, not many debt-laden companies managed to benefit from this. "Though the sentiment in equity markets has been good, the overall feeling towards the infrastructure sector and highly leveraged groups is still negative. 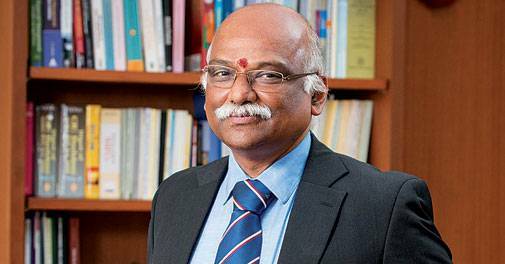 It is difficult for such companies to get the right valuation," says Ghosh of ICRA. What is worse is that some BT500 companies do not have enough cash flow to pay interest. Out of the 395 companies in the sample, 34 have interest coverage ratio of less than one, which means their operating profit is less than their interest expense. For example, Suzlon Energy's interest expense for 2014/15 was Rs 1,083 crore, compared to operating profit of Rs 250 crore and negative cash flow from operating activities of Rs 15 crore. Its debt was Rs 11,125 crore at the end of March 2015. What's making matters worse is the slower-than-expected revival of the economy. Most agencies have revised downward their 2015/16 gross domestic product, or GDP, growth forecasts for India. "Though we have seen a few cases of debt restructuring, the economy is still under a lot of stress. Therefore, these measures have not improved EBITDA margins of highly-leveraged companies. These will continue to be under stress," says a banking analyst. According to the RBI, gross non-performing assets, or NPAs, of banks have grown from 4.1 per cent of advances at the end of March 2014 to 4.62 per cent at the end of March 2015. Also, banks have had to restructure many of these loans. The ratio of restructured loans to gross advances grew from 5.87 per cent in March 2014 to 6.44 per cent in March 2015. Total stressed assets (NPAs plus restructured assets) grew from 10 per cent of gross advances in March 2014 to 11 per cent in March 2015. During loan restructuring, banks either increase the term or reduce the rate of interest or do both. 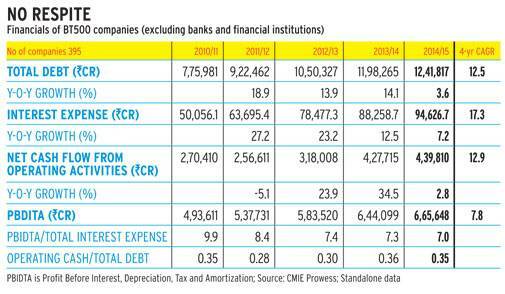 "The sharp rise in stressed assets has adversely impacted profitability of banks. Their return on assets has come down from 1.09 per cent in 2010/11 to 0.78 per cent in 2014/15," RBI Deputy Governor R. Gandhi recently said in a public address. Jyotinder Kaur, Principal Economist, HDFC Bank, says this is a huge risk for banks. "While efforts have been made to bring down the debt, I am not entirely convinced that the process is complete. We are a couple of quarters away from a fall in leverage ratios before any capacity expansion can happen in the private sector," she says. "Some of the problem of corporate debt can be attributed to increased access to the external debt market," says Kaur. Over the past five years, non-government external debt as a percentage of GDP has been on the rise. It increased from 13.6 per cent in March 2010 to 19.3 per cent in March 2015. Outstanding external commercial borrowings have risen from $150 billion in March 2014 to $182 billion in March 2015, an increase of 32 per cent. If the rupee depreciates against major global currencies like dollar or euro, many companies exposed to foreign currency loans will have to pay more in rupee terms. One direct fallout of high debt is slow revival of the capex cycle. "Companies have become cautious in bidding for new projects. Probably this is one way of keeping the debt from rising. If existing projects start generating more revenue, the magnitude of the problem may come down," says Ghosh of ICRA. 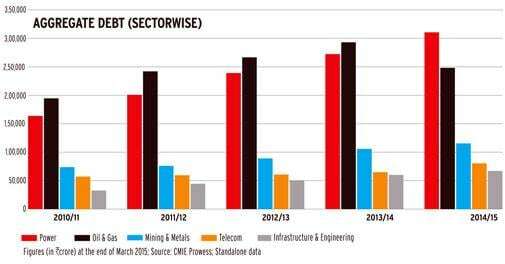 According to India Ratings estimates, capex spending in 2014/15 may have been Rs 2.76-2.8 lakh crore, the lowest in the last five years. "The capex of the top 500 asset-owning companies, after hitting the peak of Rs 3.1 lakh crore in 2010/11, has been falling. The capex spend of these companies fell 5.5 per cent to Rs 2.93 lakh crore in 2011/12 and 2.6 per cent in 2012/13 to Rs 2.85 lakh crore, before improving to Rs 2.94 lakh crore in 2013/14," it says in a report. According to experts, unless the country's economic growth takes bigger strides, many highly leveraged companies may continue to battle debt.